Change is not easy. Especially when you’re trying to change something that is completely out of your control. 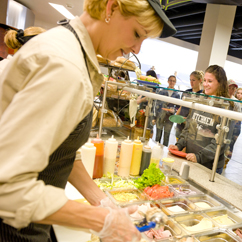 For me, approaching the food service department at my school has been a scary step that I know I must take if I ever want to be healthy at school. 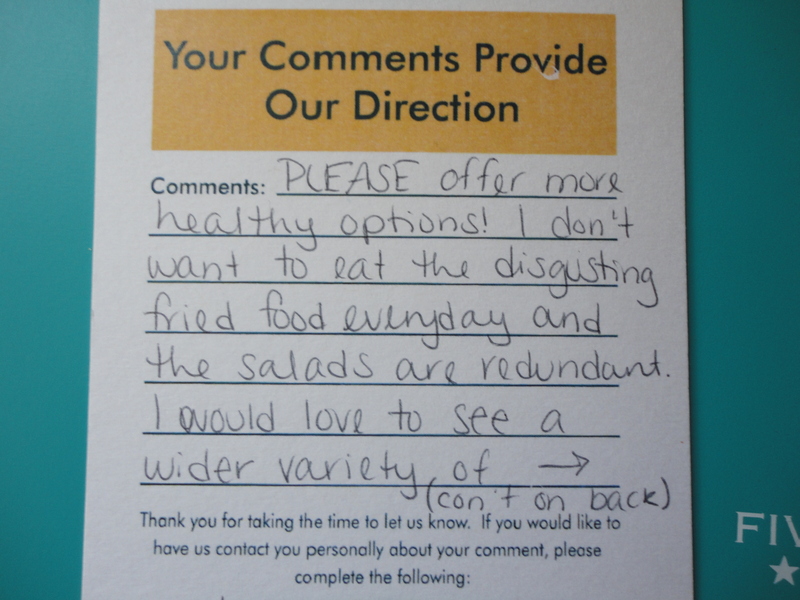 And it all starts with a comment card. Vegetables and fruits. Especially SPINACH, strawberries, blueberries, etc in their natural form. 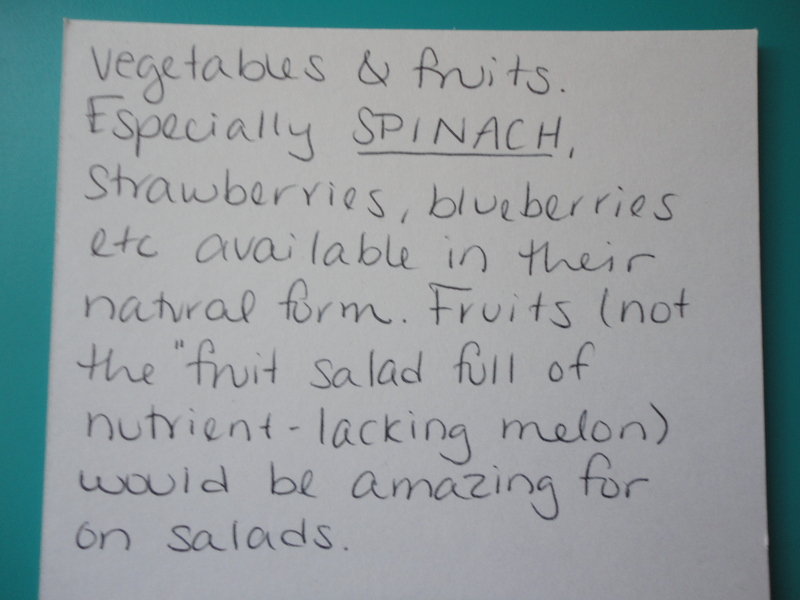 Fruits (not the “fruit salad” full of nutrient-lacking melon) would be amazing for on salads. It would also be great to have more vegetarian sandwich options. 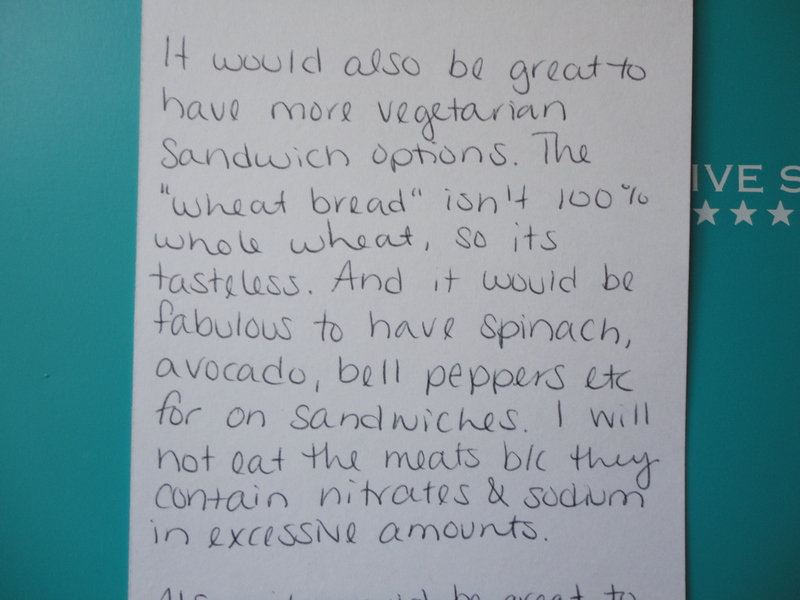 The “wheat bread” isn’t 100% whole wheat, so it is tasteless. And it would be fabulous to have spinach, avocado, bell peppers etc for on sandwiches. I will not eat the meats because they contain nitrates and sodium in excessive amounts. 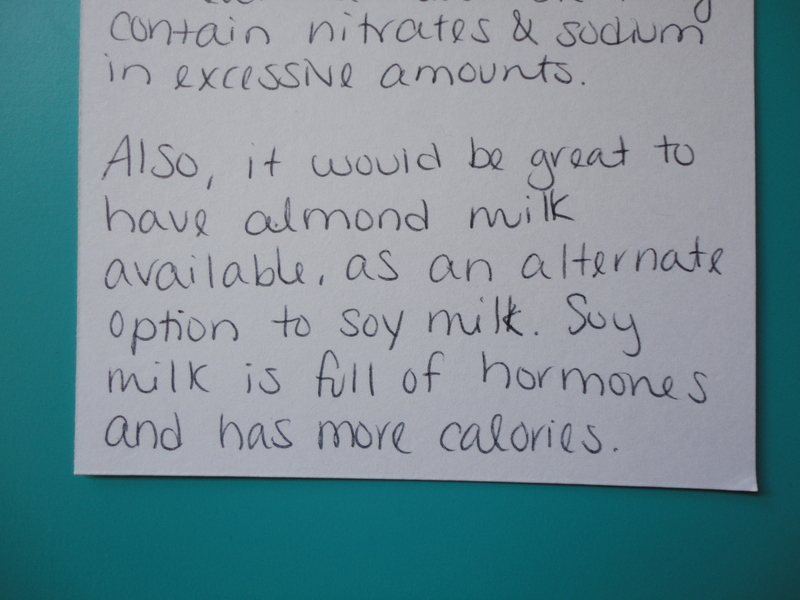 Also, it would be great to have almond milk available as an alternate option to soy milk. Soy milk is full of hormones and it has more calories. So I don’t know how seriously they will take me. I did provide my name and email address on the front so if they do reply, I’ll provide details. If not, I’ll write more comments until they do.